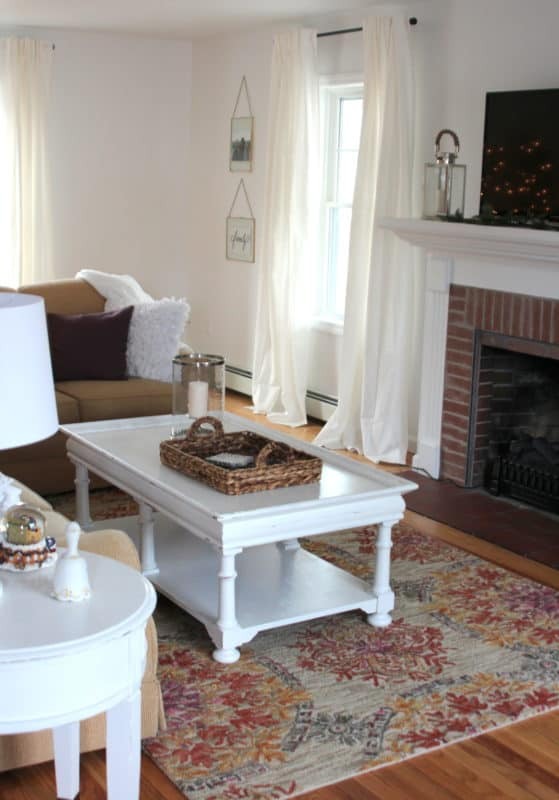 Home, the spot of earth supremely blest; a dearer, sweeter spot than all the rest. Hello friends! I hope you had a happy, happy Christmas! Are you still climbing out from mountains of wrapping paper and laundry and leftovers too? We’ve had a houseful since the 23rd and although it seems there are pine needles and playing cards and pillows EVERYwhere, I am so very grateful to have our home overflowing with kids, chaos and laughter. 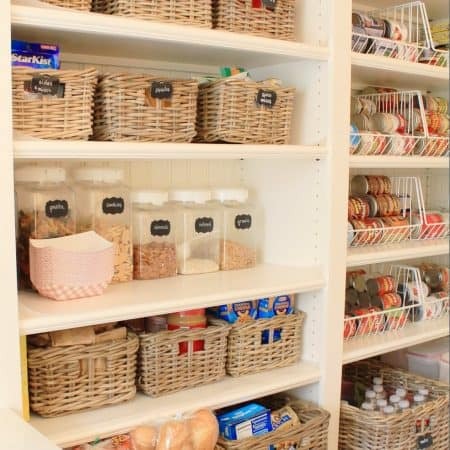 Having a big crowd here just reinforces why I strive to make this abode a place that is comfortable, functional and aesthetically pleasing – to serve my family and friends well. A place where happy times may abound. 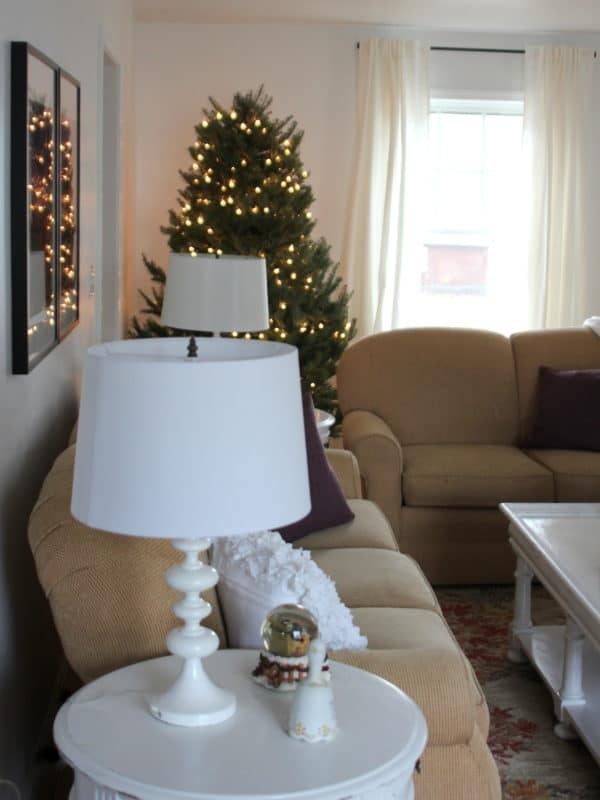 This Christmas season I had the opportunity to work on a really special project that encapsulates everything I love about making a home, not just designing the spaces within it, and I couldn’t wait to share it with you! 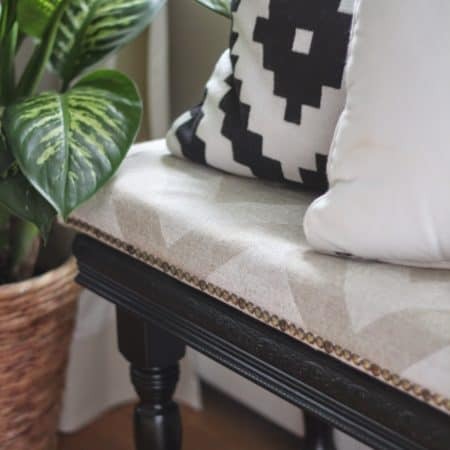 Bloggers Heart Habitat is the brainchild of the wonderful Charlotte of Ciburbanity, who created this volunteer organization in 2015 as a way for DIY Bloggers to support local Habitat For Humanity branches. 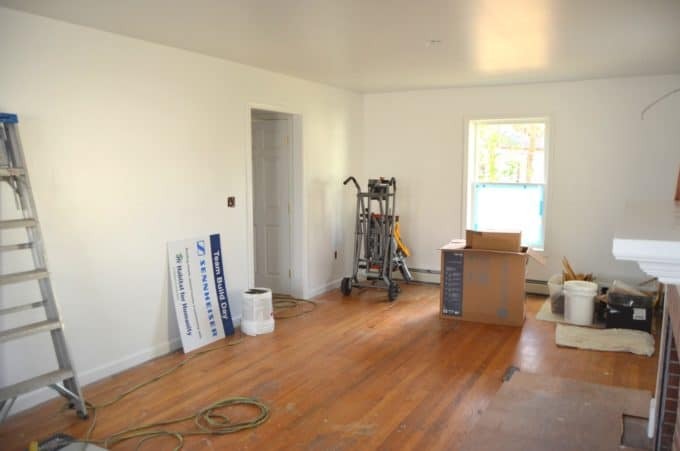 The first Bloggers Heart Habitat group did a beautiful job furnishing a new home last summer, and this month Charlotte managed to pull together blogger groups and company sponsorship to outfit two more houses for Habitat for Humanity of Eastern Connecticut!! 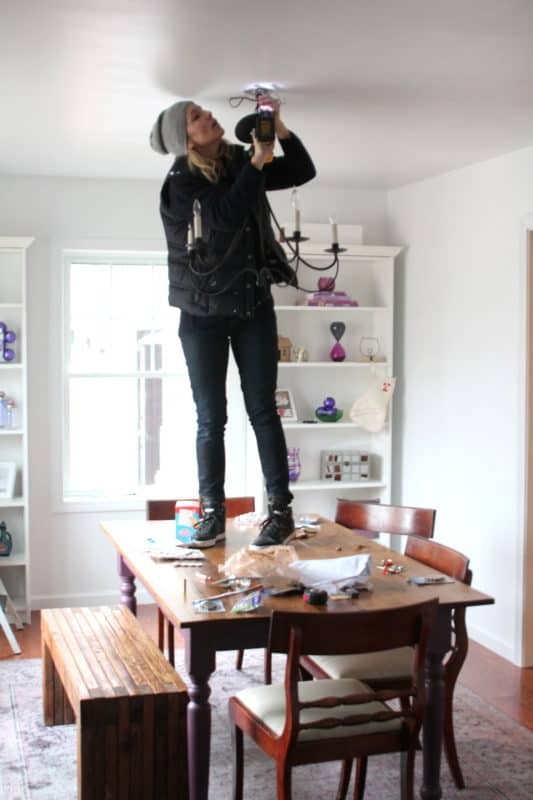 I was beyond excited to work on a living room in House #1 with my talented friend, designer Kim of Kim Macumber Interiors, while Charlotte and Jillian from I Am A Homemaker tackled the dining room. Thanks to a generous donation from Hometalk, we had $750 to spend in each room. We stretched this budget with thrift store finds, shopping our own houses, and asking local companies for product donations. 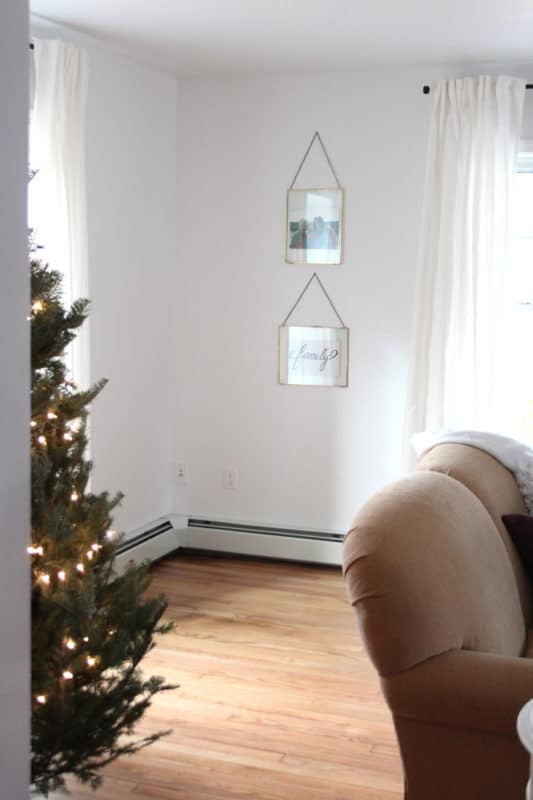 House #1 is for new homeowner Jessica and her three kiddos, and was in the process of being completely renovated when these photos of the living room were snapped. 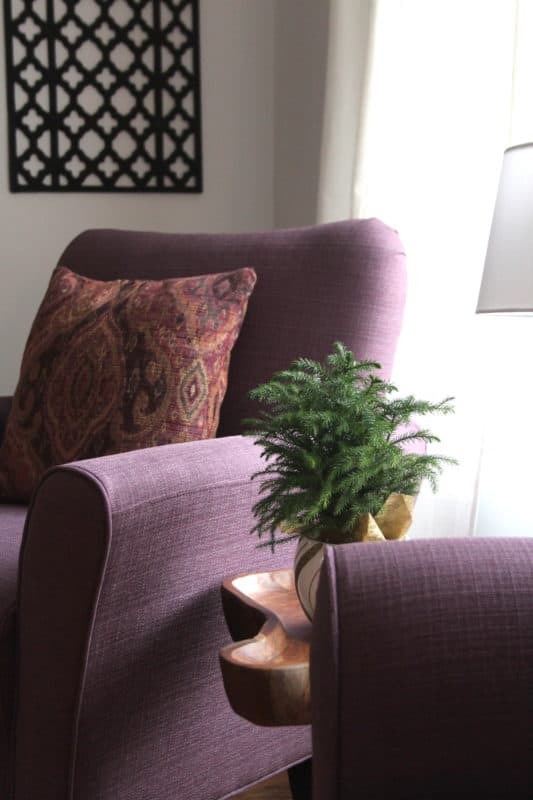 Jessica’s favorite color is purple, so we incorporated touches of that into a light, bright and cheerful design. 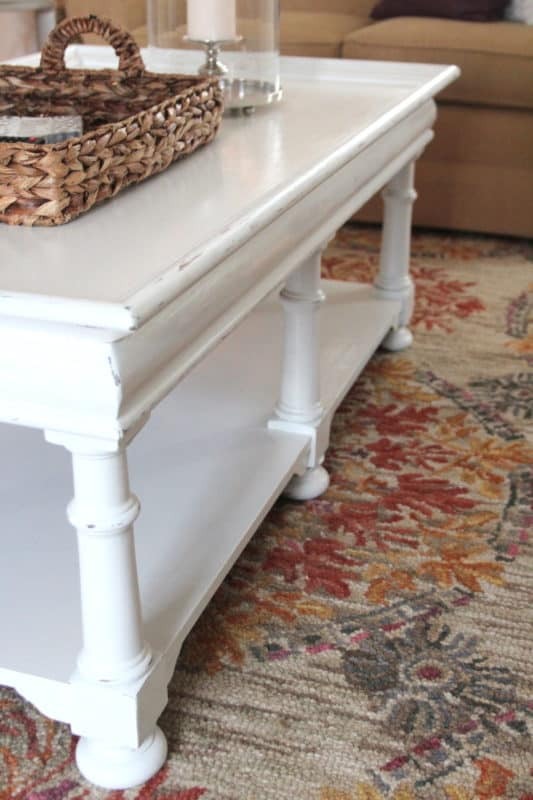 The coffee table is my Art’s Market table that got a fresh coat of white paint, distressed a bit to appeal to the homeowner’s desire for some rustic elements in this space. 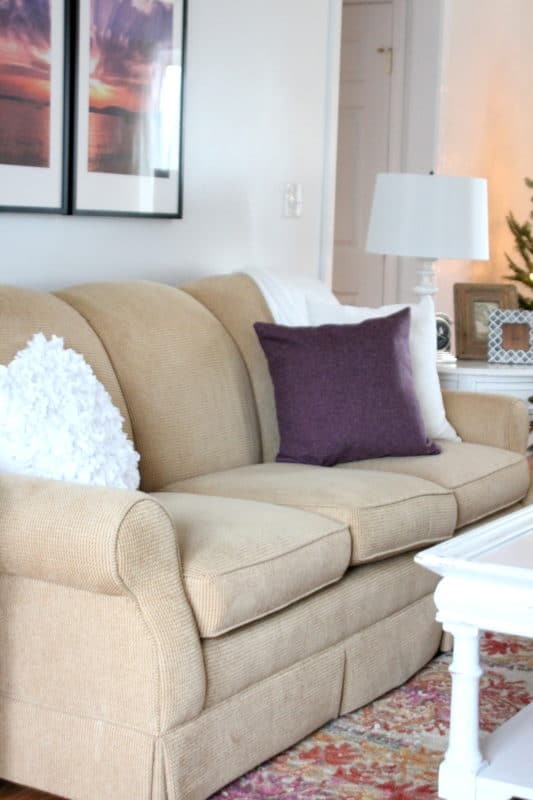 The neutral couch and sofa were donated from an estate sale, and were updated with new pillows and throws. Kim and her husband actually found the two end tables on the side of the road, they were in perfect condition! I painted and distressed them to work with our design. 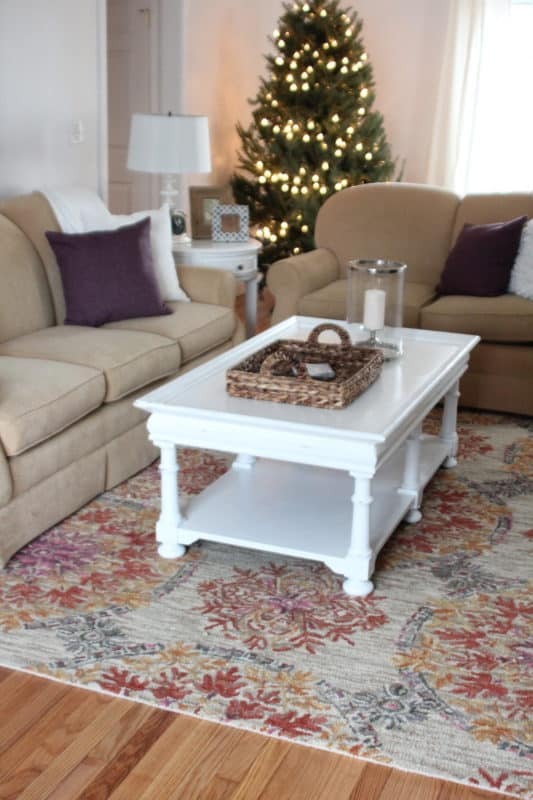 Kim donated this pretty rug that ties the whole room together! The white walls and Ikea’s white Ritva curtains keep space feeling fresh and airy. 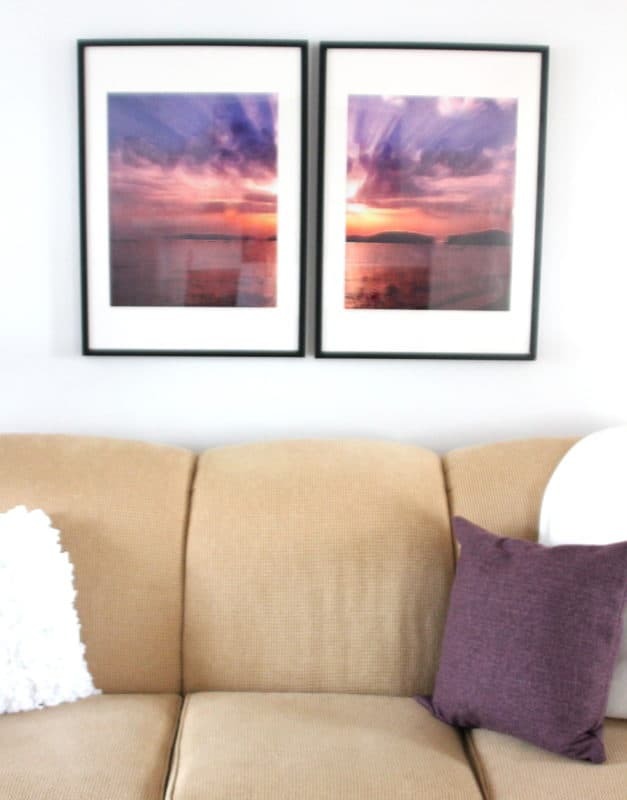 I made the art over the couch with a sunset photo from Maine. I’ll share about this easy and inexpensive project soon. 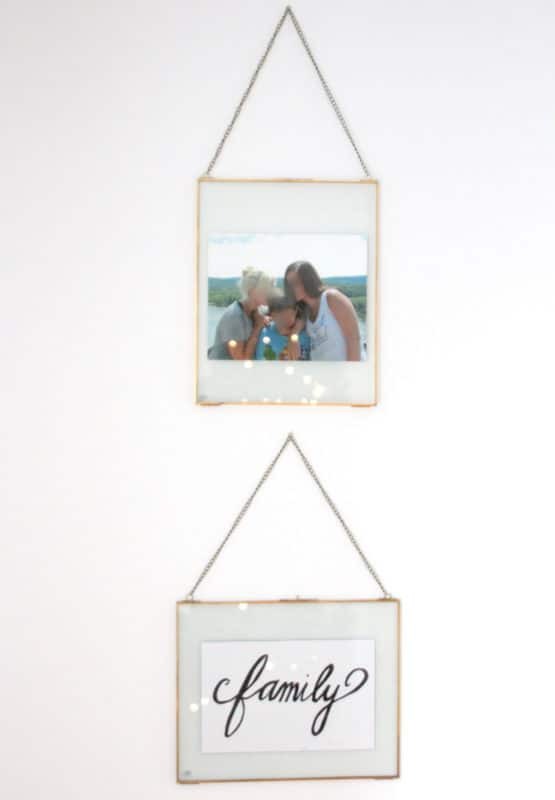 We borrowed a family photo that was in another frame for this wall (and I wrote the word “family” as a place holder); changing out these pictures over the years will be a great way for Jessica to personalize her home. 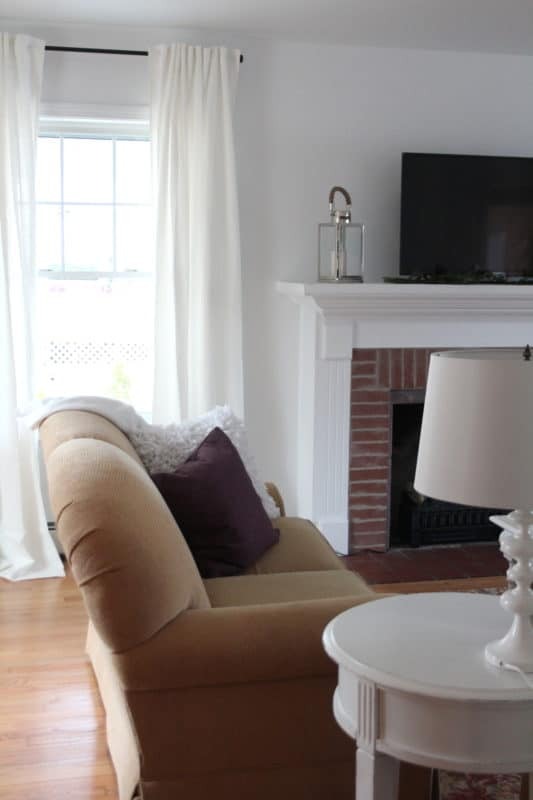 We were thrilled to be able to fit a TV into our budget for Jessica and her family! 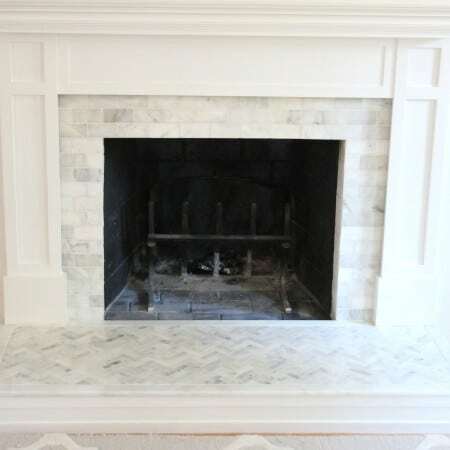 Kim’s husband Don worked some electrical magic and hung it over the newly remodeled mantle. 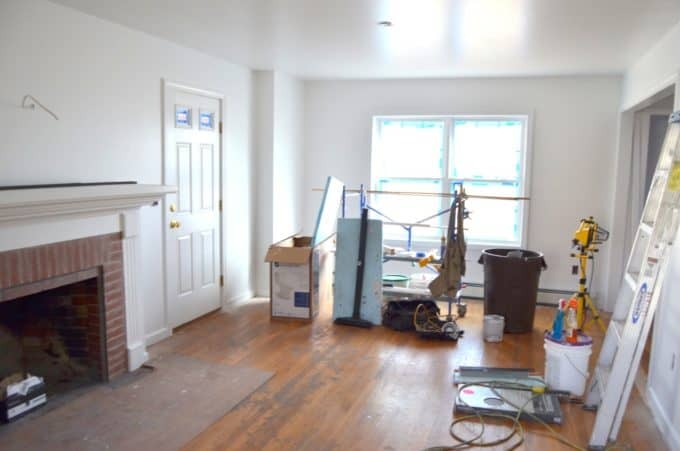 This view is looking towards the front of the room, with entry on the right, and the door on the left leading to a porch. 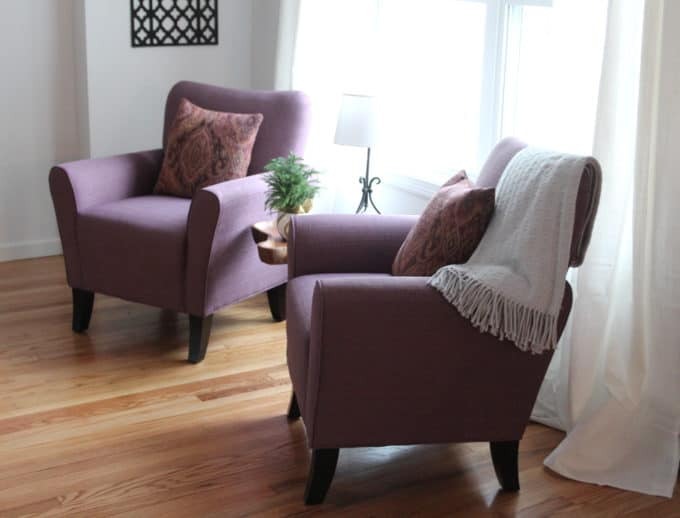 This little area by the front windows was the perfect spot to bring in a pop of Jessica’s favorite color with two new chairs that create a cozy reading spot! 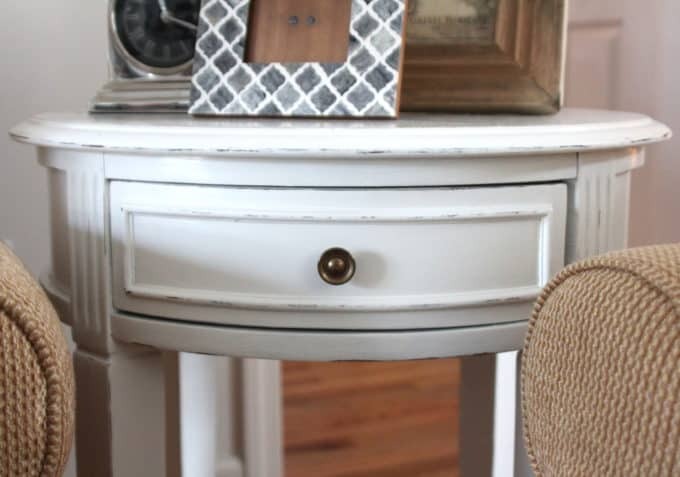 Isn’t it amazing how lots of white, along with some new accessories, can give new life to some older pieces? While Kim and I were busy in the living room, Charlotte and Jillian were transforming the dining room! 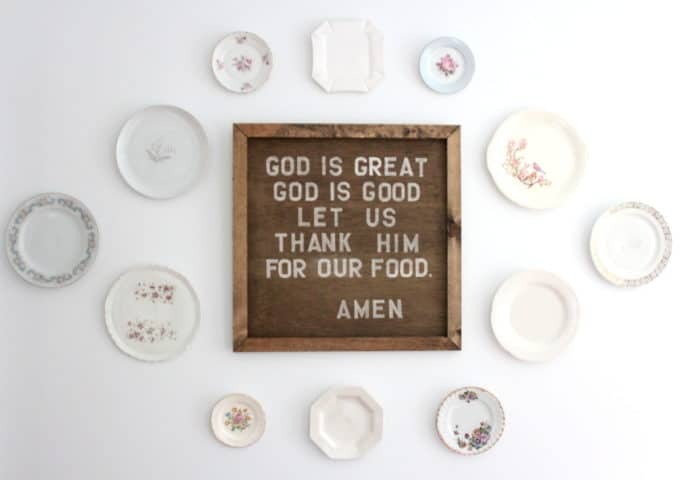 This room is filled with all sorts of DIY goodies including that gorgeous bench and tabletop above, and this beauty of a sign below. Visit my incredibly creative comrades for all the details on this house! 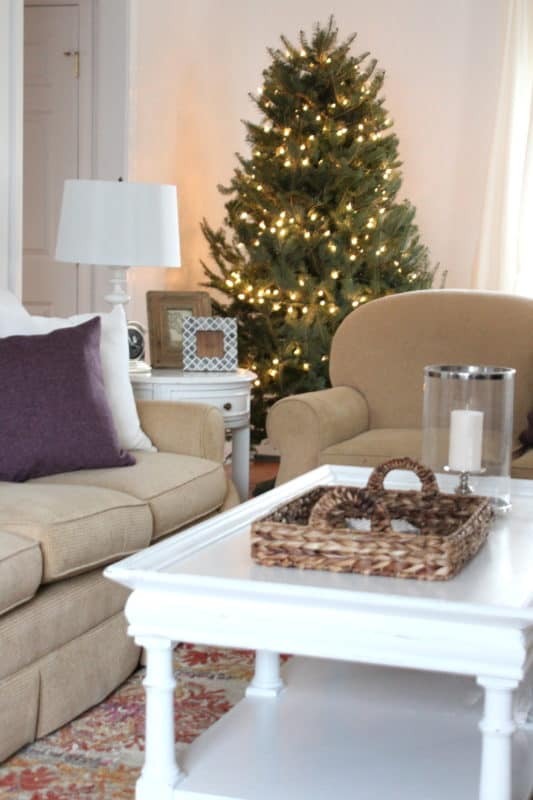 And here’s a sneak peek of House #2! 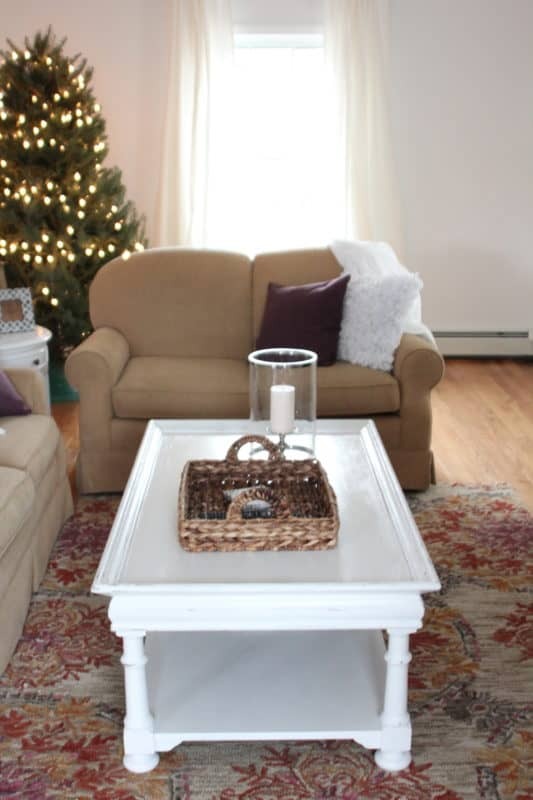 Check out all the details of this house, furnished by these amazing bloggers! Visit Charlotte’s blog or email her at bloggershearthabitat@gmail.com. 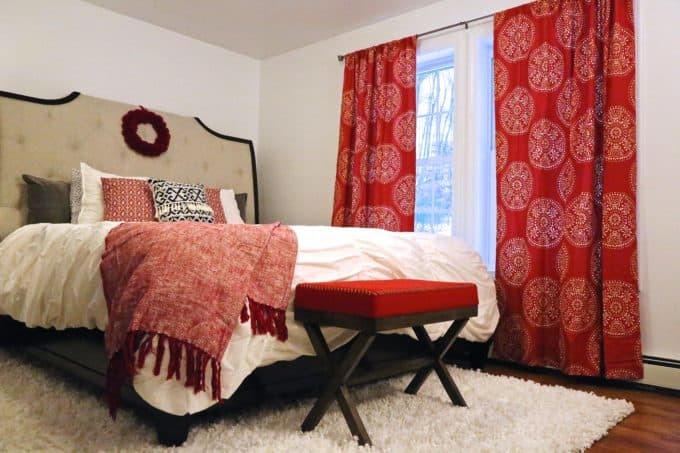 So many DIYs, thrift store makeovers and stretching of dollars went into these rooms along with lots of helping hands. 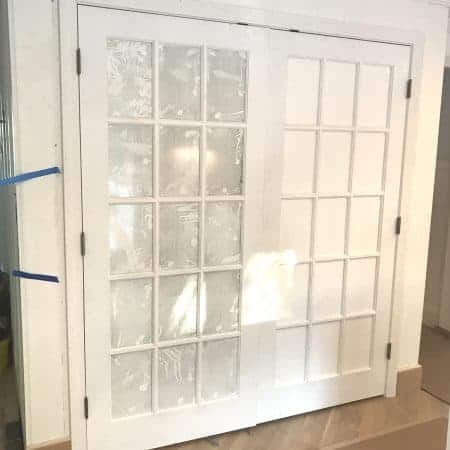 We are grateful to Kim’s husband Don, along with my three kids, Peter, Hannah and Sean, who spent the day working alongside us making this house into a home for Jessica and her family. Extra special thanks to Charlotte of Ciburbanity for creating Bloggers Heart Habitat and working with Hometalk on funding for these projects. It was an honor to work with such an amazing group of bloggers. Best wishes for much happiness, love, and dreams coming true in your new home! Lisa, I LOVE this! What a meaningful way to put your talents to work and give back. I’m off to learn more – would love to participate in something like this! Jenny it really was such a fun project to work on. December is a little tough to pull it off but seeing the family’s happiness made it all worth it! This just warms my heart. Wonderful job! Mary Ann thank you so much! I was blessed to have an amazing partner in crime! Cassie thank you! How fun would it be to work on a project together?!! I would love that! Lisa it’s gorgeous! 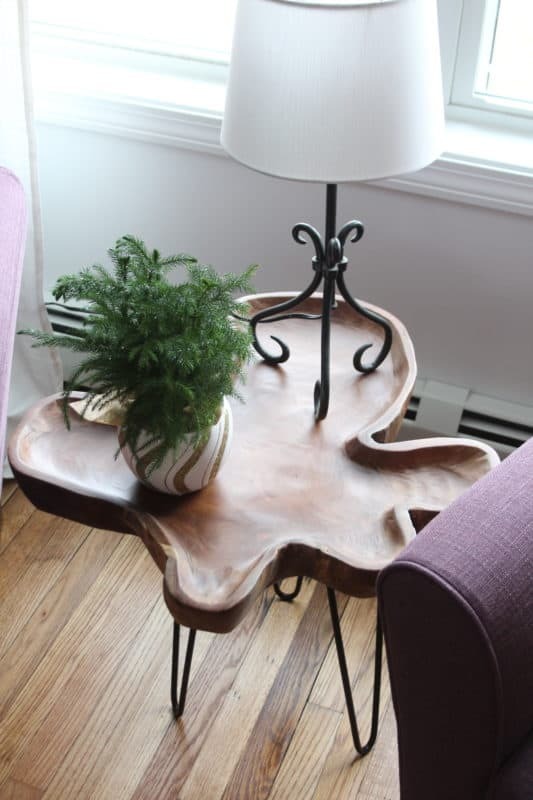 I am in love with that little table with the hairpin legs! Love the artwork as well! Carli thank you so much! 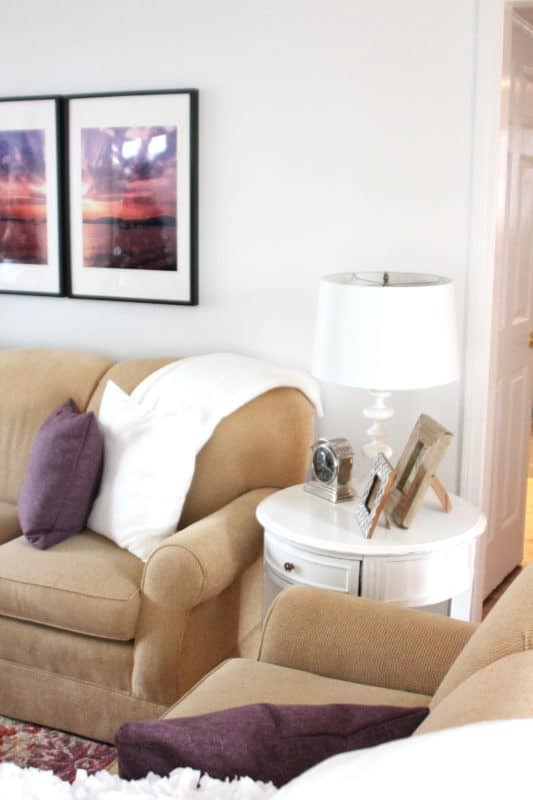 The rooms in the house you worked on came out beautifully! I would love to do one of these locally with you in the future, maybe we can swing that this year! Me too Carli! I would love to do one in MA or RI so maybe we can put our heads together on that one! You ladies are SO awesome!!!! I can only imagine how thrilled and thankful the family is to have such a beautiful home! nice post. I like your decoration and ideas. 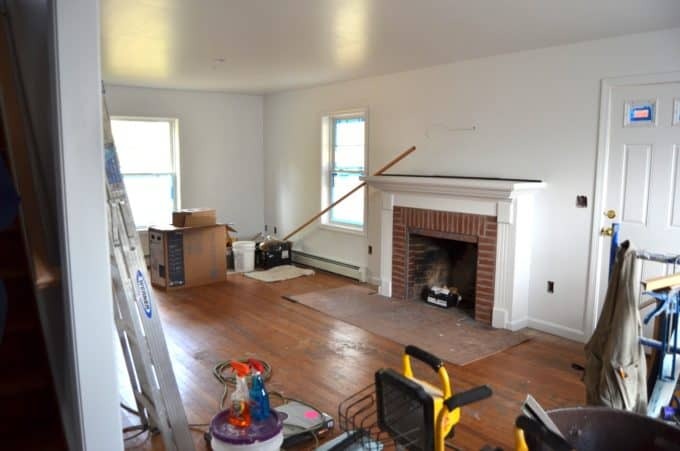 This is very helpful post for my living room. 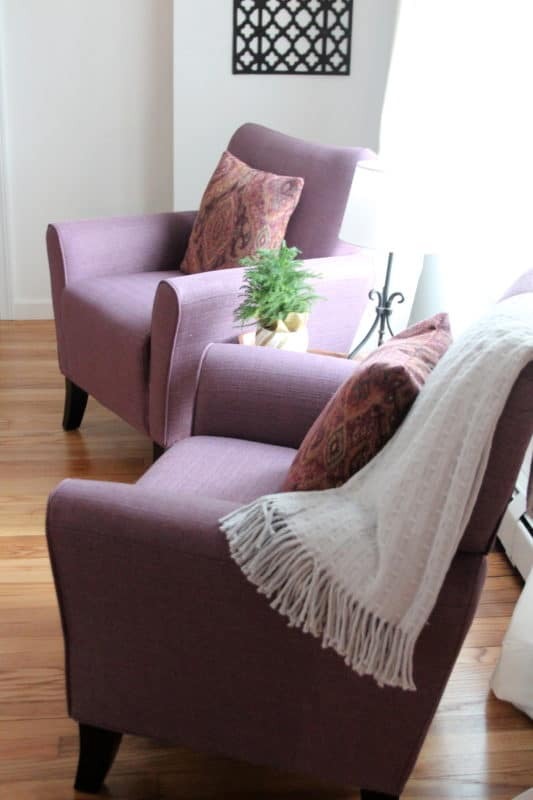 I am in love with that little table with the hairpin legs! Love the artwork as well! Hi Christina, thank you so much. 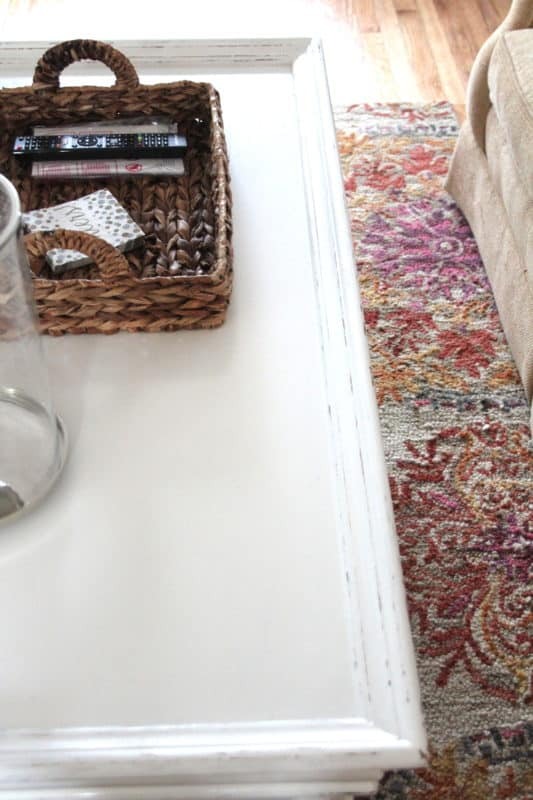 The hairpin table is a Homegoods find!